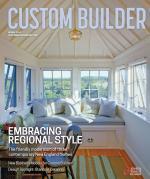 Ready to create a home for a growing family, the client embarked on a radical remodel on San Francisco’s Potrero Hill. It also involved an extensive landscaping redo to provide space for family parties and for kids to play. The site was sloped and the hillside included a concrete retaining wall, holding and functional but overengineered, with chunks of concrete breaking away, recalls landscape designer Jan Longwell. Adding to the challenge were adjacent concrete steps that had to stay put. 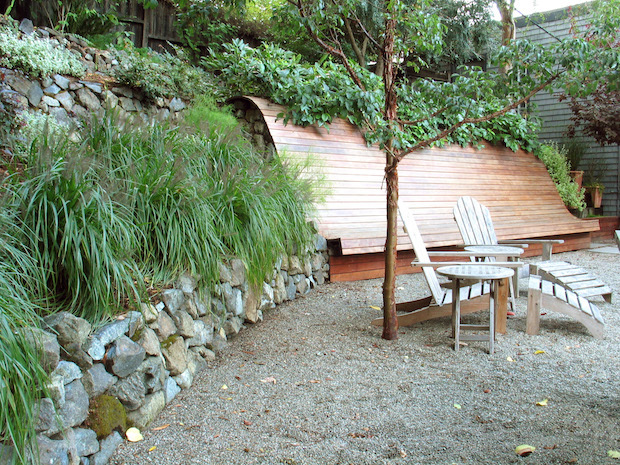 The designer’s solution creates an oversize bench that provides seating, links the wooded upper part of the property with the lower patio, and conceals the unsightly wall. 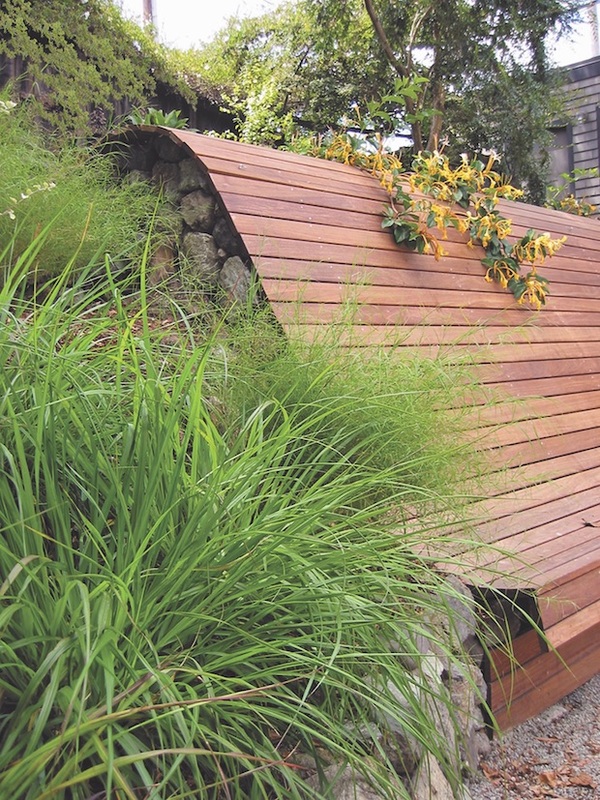 Longwell attached sheets of exterior-grade plywood to the concrete wall, cutting two profiles for each side of the bench—one matching the steps and the other outlining the profile of the curved bench. The plywood provides support for the ipe slats that form the bench back and seat. The bench works well with the site’s slope, creating a place of respite as well as visual unity. It also gives a nod to the home’s location overlooking San Francisco Bay, with views of cargo ships coming in and out of the Port of Oakland: Reminiscent of a boat hull, it ties together the homeowners’ everyday experience of land and sea. Comments on: "Design Detail: Deep Bench"